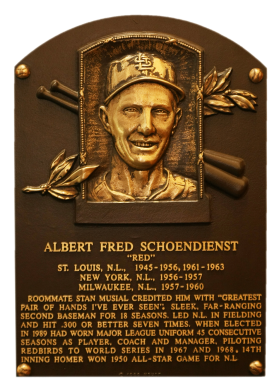 Red Schoendienst teamed with shortstop Marty Marion to form one of baseball's best-ever double-play combinations. Red could also hit, reaching a career-high .342 in 1953. Despite contracting tuberculosis in 1958, he returned to play parts of five more seasons. He had 2,449 career hits and 1,223 runs scored. Comments: For Red Schoendienst, I picked out a 1961 Topps card as the portrait to acquire. I picked one up in Febuary, 2002. For a few years I was happy with the card, until I started shifting some cards around. 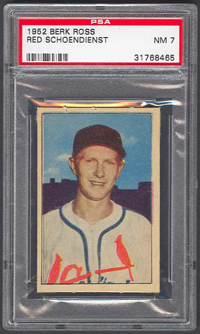 I decided to go with a 1952 Berk Ross after finding a PSA 5 example in October, 2005. 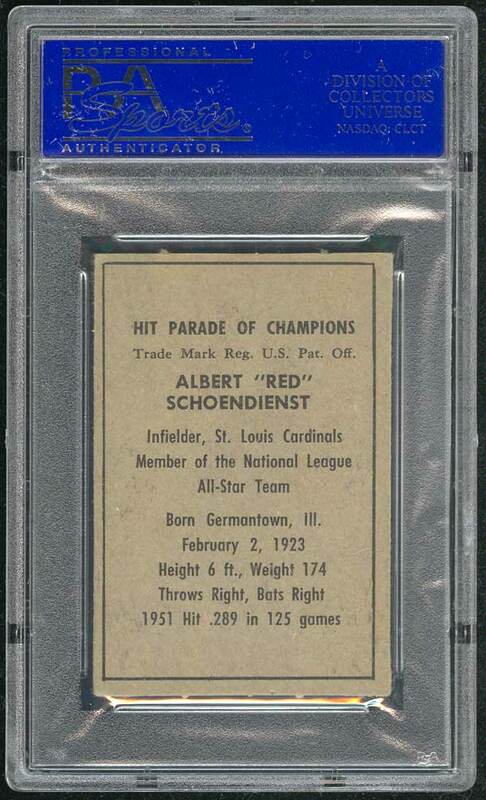 I've been looking for a nice PSA 8 ever since - missing out on one in a July, 2006 Legacy Sports auction and a PSA 9 in a April, 2010 Memory Lane auction. However, in April, 2007 I did manage to upgrade to a PSA 7. 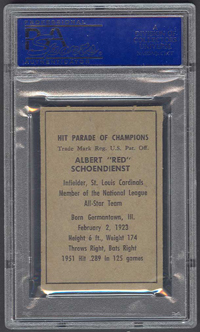 Description: Although the card size is different (2" X 3"), the style of the fronts and backs of the 1952 Berk Ross set is similar to the previous year's effort. Seventy-two unnmubered cards make up the set. Rizzuto is included twice in the set and the Blackwell and Fox cards have transposed backs. 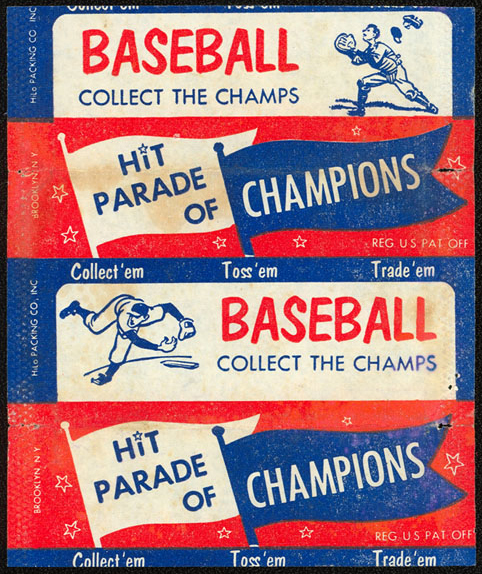 The cards were issued individually rather than as two-card panels like in 1951.